We employ a database of video examples of fluids (a). The user specifies a target image (b) with a few optional suggestions about fluid motion, e.g., sketches of flow direction, shown as orange arrows. The user also provides an alpha matte of the region of interest (c). The system synthesizes an animation (d). 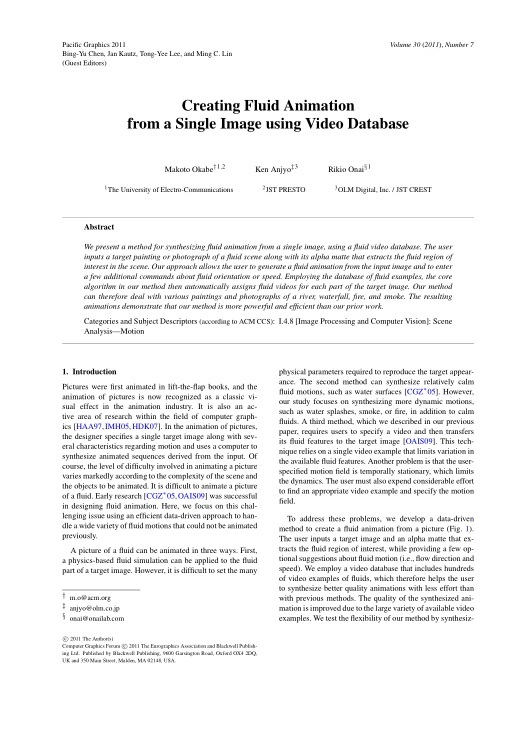 We present a method for synthesizing fluid animation from a single image, using a fluid video database. The user inputs a target painting or photograph of a fluid scene along with its alpha matte that extracts the fluid region of interest in the scene. Our approach allows the user to generate a fluid animation from the input image and to enter a few additional commands about fluid orientation or speed. Employing the database of fluid examples, the core algorithm in our method then automatically assigns fluid videos for each part of the target image. 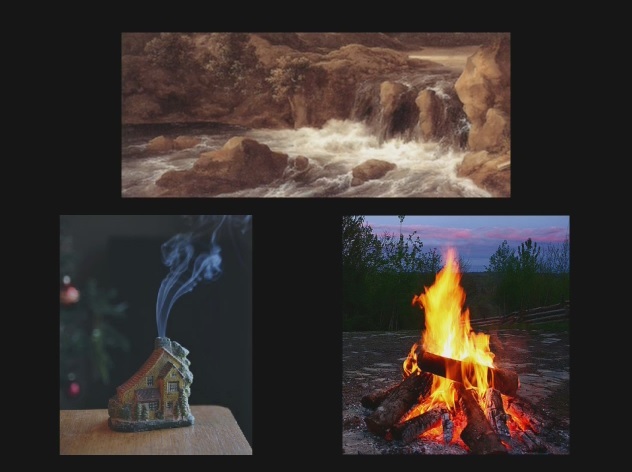 Our method can therefore deal with various paintings and photographs of a river, waterfall, fire, and smoke. The resulting animations demonstrate that our method is more powerful and efficient than our prior work. 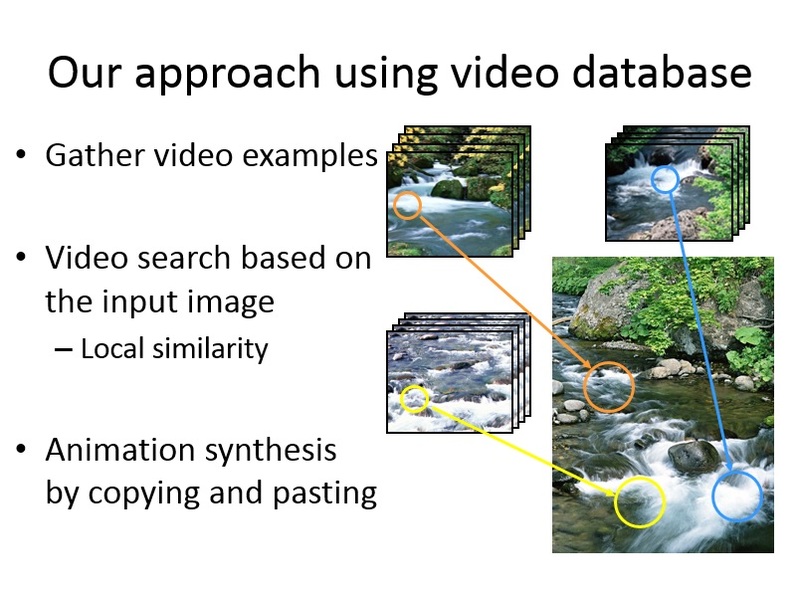 Makoto Okabe, Ken Anjyo, Rikio Onai, "Creating Fluid Animation from a Single Image using Video Database", Computer Graphics Forum (proceedings of Pacific Graphics 2011), volume 30, issue 7, pp. 1973-1982.